Many lots of things Samsung has been promising to the customers, like foldable displays which will come in 2015, 16-MP ( Megapixel ) camera devices coming next year. In today's smartphone, every company trying to reveal full HD 1080p smartphone in the market. People are attracting towards high pixels density smartphone, some day you could see 4K Ultra HD displays in future smartphones, to do this we can expect to Samsung this in 2015. 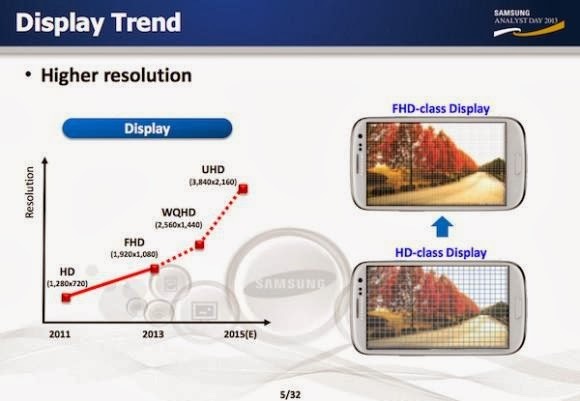 However, Next year in 2014 Samsung mobile devices is expected to get WQHD displays at resolution of 2560 x 1440 pixels. Samsung is planning to launch in-between 5-inch to 6-inch display smartphones with more than 550ppi pixel density. Additional features includes first Android device powered by a 64-bit Exynos processors which is expected to debut in upcoming Galaxy S5. Competition will become touch and touch in future mobile market. 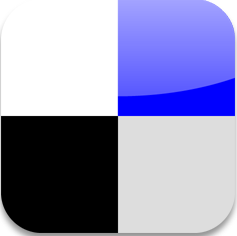 We are exiting to see what other mobile brand will do.